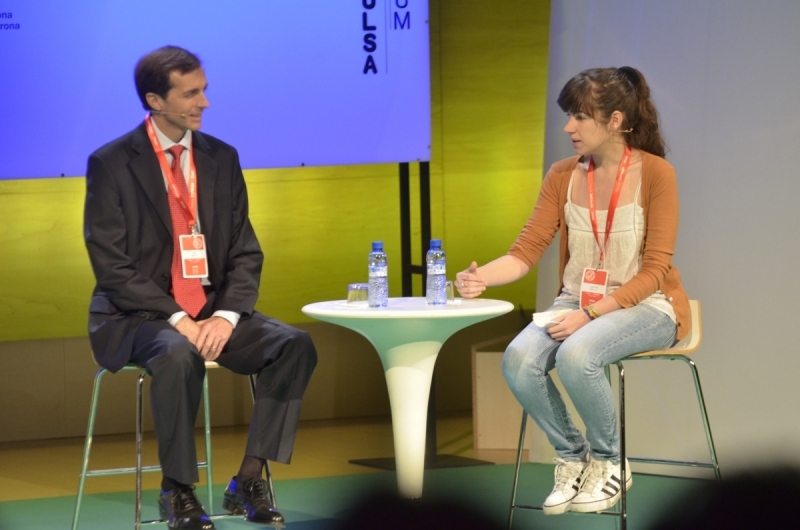 Talk between Jordi Canals, dean of the IESE Business School (senior) and Cristina Peralta Martín, plastic artist (junior). Educating to create. Educating to have a more satisfactory life, to take charge of ourselves. C.P. An education that has given me a lot, but which has also left a lot lacking. When we enter into a dynamic of needing more and more degrees. The education we receive is insufficient. CP. There is something wrong with the universality of an education which creates a false sense of security that explodes when you come up against reality. CP. Where is the wisdom that we lost in knowledge, and the knowledge that we lost in information? The success of the process is a combination of many ingredients. Enthusiasm and hope are key .JC. Often when we think of education we visualize children or young people. Education is a process that continues all our lives. Knowledge and skills help us to be better people, and this process is endless. JC. We must find new answers. Artistic methodology, what I have learned of it, is the necessity of this sensitivity. The world appears to us as something opaque, disperse, and sensitivity comes to us through details, through knowing how to perceive contradictions, it is essential to teach in this way. Management of experiences, of successes and failures, is fundamental in the action of learning and teaching. There are those who are born with a natural inclination to change things, but just by observing and analyzing what other people do, we learn from their experiences. JC. Learning is a partial achievement and a good engine of hope. That’s where a positive circle is produced .JC. People improve as they interact with others. Every human being is a potential gift, the same as everyone else. Education and learning allow this gift to acquire ever more value. JC.